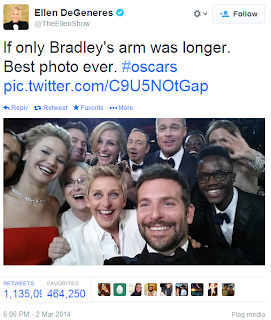 That Oscars 2014 group selfie is now the most retweeted tweet ever, beating Barack Obama's "Four more years" tweet in 2012. During Sunday's 86th Academy Awards or Oscars 2014 ceremony, Best Supporting Actor nominee Bradley Cooper took a group selfie using ceremony host Ellen DeGeneres' phone. 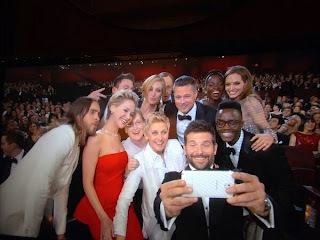 The said Oscars selfie has tons of Hollywood star power as it photographed A-list stars, most of them were among this year's nominees: Bradley Cooper, Ellen De Generes, Jared Leto (who won Best Supporting Actor), Jennifer Lawrence, Channing Tatum, Julia Roberts, Kevin Spacey, Brad Pitt, Angelina Jolie, Lupita Nyong'o (who won Best Supporting Actress) and even the great Meryl Streep. Posted on Ellen's Twitter account, it has soon been retweeted and favorited many times, and quickly become the most retweeted tweet / photo ever on Twitter. As of my last check, it has 1,135,090 retweets and 464,250 favorites. Best photo ever indeed! Expect it to even reach 2 million retweets and over a million faves. Who's loving that Kevin Spacey look in the background? 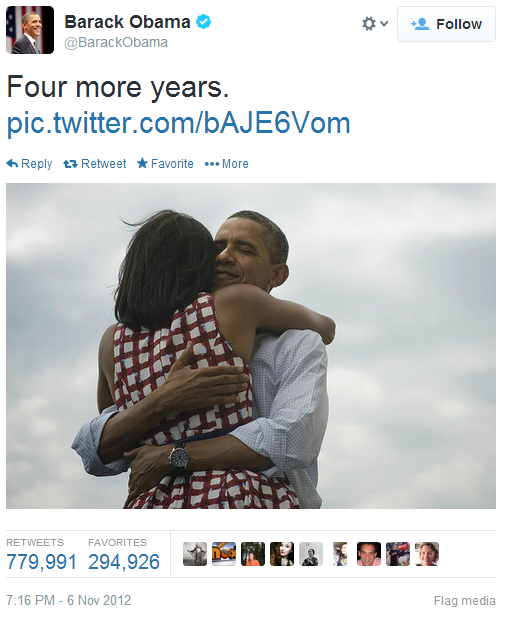 The previous "most retweeted" record was held by this Barack Obama tweet in November 2012 after he was re-elected as US President. That time, Obama's record-breaking victory tweet was even confirmed by the Guinness Book of World Records as the new record holder, beating a Justin Bieber tweet about Avalanna Routh who died of brain tumor.